Close-up Shot Of Pediatrician Examines Two Months Baby Boy. 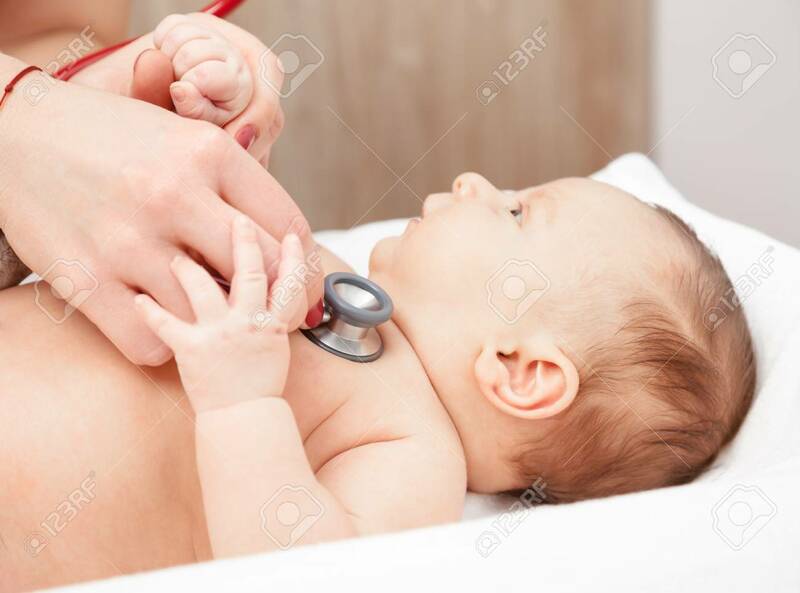 Doctor Using Stethoscope To Listen To Infants Chest Checking Heart Beat And Lungs Lizenzfreie Fotos, Bilder Und Stock Fotografie. Image 113611013.